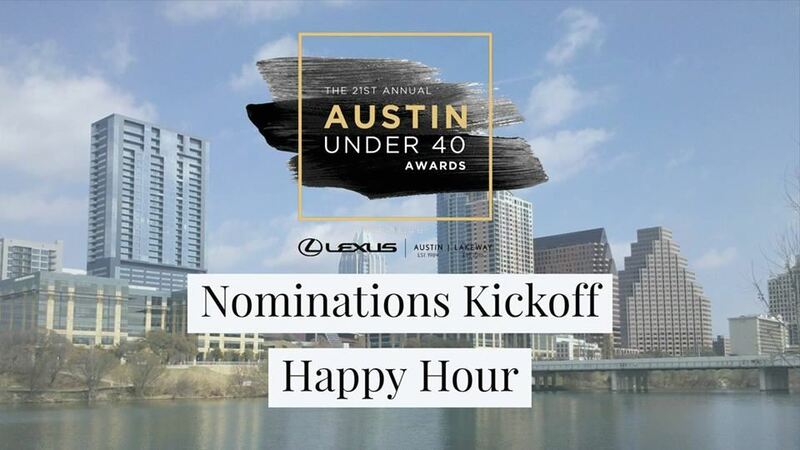 Join us on October 23rd to kickoff the opening of nominations for the 2019 Austin Under 40 Awards! Specials will include appetizers donated by our wonderful host, Academia, and $5 drinks. Check out details on the Facebook page, https://www.facebook.com/events/763451777332041/. Since 1998, the Young Women's Alliance and the Young Men's Business League have partnered annually to host a series of events culminating in the Austin Under 40 Awards—a black-tie event honoring and celebrating Austin’s emerging professionals and their mentors. The awards serve not only to commend individuals such as Michael Dell, Dan Graham, Kendra Scott, and Andy Roddick for their leadership and achievements, but more importantly, to raise money for two philanthropic beneficiaries.